Russian speakers in the Baltic countries are one of the largest minority groups in the European Union. They appear in the news whenever Russia invades a neighboring country and analysts suddenly discover that there are a million ethnic Russians living in Estonia, Latvia, and Lithuania. Might they be a security risk? Are they Putin’s fifth column? And when the crisis is over, we forget all about them. 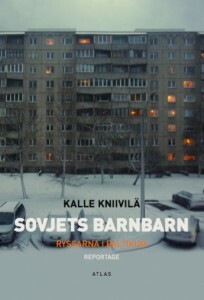 In his new book Sovjets barnbarn (literally ”Great-children of the Soviet Union”, 2016) the Swedish-Finnish journalist Kalle Kniivilä lets the Russian speakers in the Baltic countries tell their own story. During his travels through the three countries he meets 84-year-old Maria, who reminisces about the beautiful evening in early May, just a few weeks after Josef Stalin’s death, when she met her future husband at a dance in the Estonian mining community of Kohtla-Järve. We also hear from 15-year-old Kjara who is studying for her Latvian language A-level exams, and Yevgeny, a middle-aged computer engineer who was born in Soviet Tajikistan but now lives in the Russian speaking Lithuanian town of Visaginas, built for the staff of a Soviet nuclear power plant. The nuclear plant was shut down as a precondition of Lithuania’s entry to the European Union, and many people have since left the town. This travelogue, with dozens of in-depth interviews, paints a multifaceted and nuanced portrait of Russian speakers in the Baltic countries. The author of this book has been likened to Nikolai Gogol and Ivan Turgenev, since he shows there is another Russia than that of Stalin and Putin, and to Chekhov, who exposes dilemmas to the reader without solving them. A more appropriate and up-to-date comparison can be made with Svetlana Aleksievich, because of Kniivilä’s use of interviews and his empathetic and respectful approach to interviewees of various ages, origins, and professions and to their often touching or dramatic lifestories. However, there are of course significant differences: Kniivilä asks questions concerning the identity of the Russians living in the three Baltic states, the problems they encounter in daily life, their view of Russia and the West, and how and why they or their parents came to the Baltics. Second, unlike Aleksievich, Kniivilä as a political journalist provides context for the interviews, explaining facts and sometimes arguing with his interlocutors. He describes his trips and the places he visits, thus producing a travelogue that could even be used as a guidebook for ambitious travelers. Kalle Kniivilä is author of two highly praised books on the former Soviet Union: Putins folk (”Putin’s people”, 2014, best non-fiction book in Finland 2014) and Krim tillhör oss (”Crimea is ours”, 2015). The annexation of Crimea by Russia in March 2014 shook the world. The Crimean crisis remains a ticking time-bomb whose ultimate consequences are still impossible to predict. And it is a question that divides the local inhabitants. Anna in Sevastopol doubled her state salary. She could buy the tall, white kitchen cabinets she’d always dreamed of — but otherwise her life is mostly unchanged. The area in which she lives has largely welcomed the actions of President Putin. For Eskender, things are different. He encountered the new regime when heavily-armed police knocked in his door in the early morning hours and up-ended everything in his apartment. Eskender is a Crimean Tatar. For him, Russia is the successor to the old Soviet Union, which once exiled his entire people. 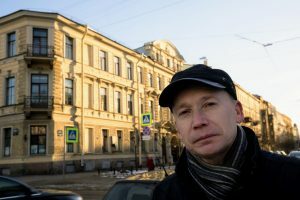 For his new book, Krim tillhör oss (”Crimea is Ours”, 2015), Kalle Kniivilä travelled around Crimea to interview both supporters and opponents of annexation. Everyone he spoke with wanted order and a functional society — rather than chaos and corruption. But they favored different solutions. Those who wanted Crimea to remain a part of the Ukraine, frequently made reference to democracy and human rights. For them, a functional state in the Western model with closer ties to Europe represented a path forward. But many voices were already going silent. Others departed the occupied peninsula and travelled to Kiev to be able to speak freely and advance their agenda. For them, the Russian occupation of Crimea was a continuation of Soviet oppression, a disagreeable echo from the past. Those who wished to belong to Russia frequently brought up the Russian language which, according to them, was being suppressed in the Ukraine. Most of them also hoped that the Russian annexation would lead to higher salaries and better living conditions. But almost as many, also spoke glowingly about the good old days. Often supporters of annexation would mention Stalin as a great leader. But Stalin, of course, was not as perfect as Putin, according to one. 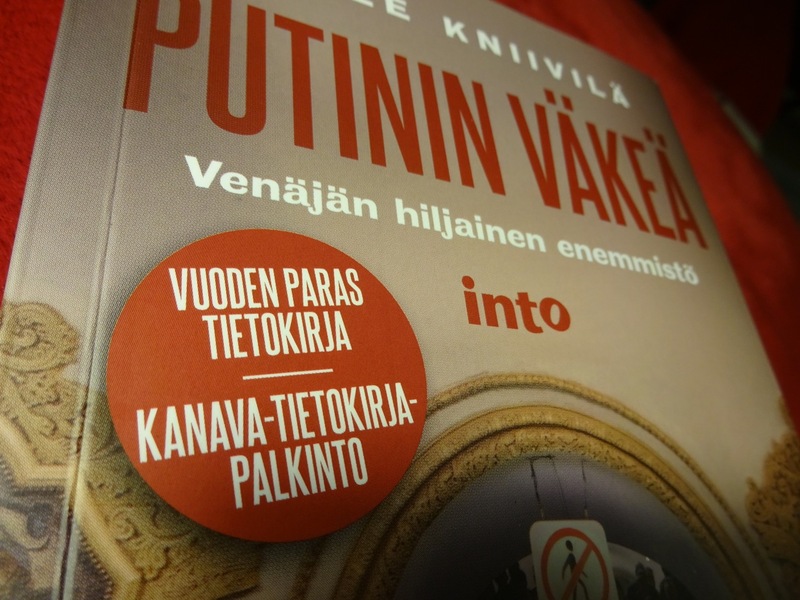 Kalle Kniivilä is author of two highly praised books on the former Soviet Union: Putins folk (”Putin’s people”, 2014, best non-fiction book in Finland 2014) and Krim tillhör oss (”Crimea is ours”, 2015). Forthcoming: Sovjets barnbarn, (Children of the Empire, 2016). I was born in Joensuu in eastern Finland in 1965. I majored in Eastern European studies, history and Russian at the University of Lund in Sweden, where I received my BA in 1991. I also studied Russian at Leningrad State University 1989-90. During 1991-92 I was the Moscow correspondent for the Finnish left wing daily Kansan Uutiset. Since 1997 I have been employed by Sydsvenska Dagbladet in Malmö, the largest daily newspaper in the south of Sweden, where I was foreign editor in 2011-2013. I run Glasnost.se, the best Russia blog in Sweden, according to the Stockholm daily Svenska Dagbladet. My first book, Putin’s people, was published in 2014, simultaneously in Swedish, Finnish and Esperanto. The book received excellent reviews and the Finnish version was awarded the prestigious Kanava price as the best non-fiction book of the year 2014. My second book, Crimea is ours, was published simultaneously in the same three languages on March 18, 2015, the first anniversary of the annexation of Crimea. My third book, Childen of the empire, on the Russian speakers in the Baltic countries, was published in the same languages in 2016 and nominated to the Finnish Grand Prize for Journalism. My fourth book, Tanjas gata (Tanya’s street), is being published in the three languages in October 2017, upon the 100th anniversary of the October revolution. The book tells the extraordinary stories of ordinary people on a Saint Petersburg street trying to lead everyday lives during the past century, 1917–2017. Some bits and pieces about and from my book Putins folk (Putin’s people), published in 2014 in Swedish, Finnish and Esperanto. Translation from Esperanto by Trevor Steele. 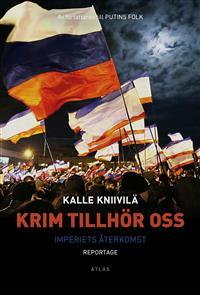 My second book, Krim tillhör oss (Crimea is ours), is being published in the same languages on March 18, 2015. And who am I? …a continuously fascinating book, a report that increases our understanding of Russia and the Russians. / … / It is a magnificent journalistic achievement to succeed with the task Kniivilä undertakes – to describe a complex reality without passing judgment. That task is left to the reader. I thank him for that.